In this category of video lessons, you'll learn about some of the important scales you can play on the guitar. These guitar lessons don't follow a sequence so you can jump into them in any order you like. An important part of learning how to play guitar is learning guitar scales. In these lessons, you'll learn how to play scales on the guitar. 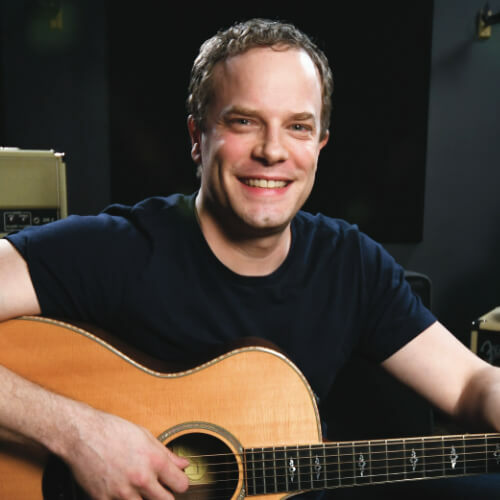 These lessons apply equally to both the acoustic guitar and the electric guitar. The main scales we'll cover in these lesson videos are modal scales. These include the Ionian scale, the Aeolian scale, the Dorian scale, the Locrian scale, the Lydian scale, the Mixolydian scale, and the Phrygian scale. We'll also cover the Chromatic scale here as well.